The addiction research community lost one of our most significant and beloved scholars on July 17th, 2018. The profound and far-reaching impact of Dr. Petry’s death is a testament to her substantial scientific contributions, her thoughtful mentoring of numerous graduate students, postdocs, and junior faculty, and the fact that she died at a moment that should only have been the midpoint of her illustrious career. As noted in the American Psychologist biography associated with her 2003 American Psychological Association Early Career Award, two serendipitous events led Dr. Petry to contribute her prodigious talents and passion to our field. First, as an eight-year-old whose mother was completing a nursing degree, Nancy discovered a psychology textbook that sparked her initial interest in psychology. Second, as an undergraduate completing a semester in England, Nancy worked part-time in a pub where she befriended several physiological psychologists, leading to her interest in behavioral psychopharmacology and beginning her prolific publication record (Petry et al, 1991). Dr. Petry completed her Ph.D. in Experimental Psychology at Harvard University where she received formal training in behavioral pharmacology and operant psychology. This laboratory animal research would form the conceptual basis for much of her later translational research that used behavioral economic and operant models to understand risk for addiction and to devise novel treatment approaches. She continued her training through a postdoctoral research fellowship at the University of Vermont Medical School, where she conducted seminal studies that identified delayed reward discounting as a central risk factor for addiction (Petry & Bickel, 1998) and contributed to early applications of contingency management for the treatment of addiction (Petry, 2000). 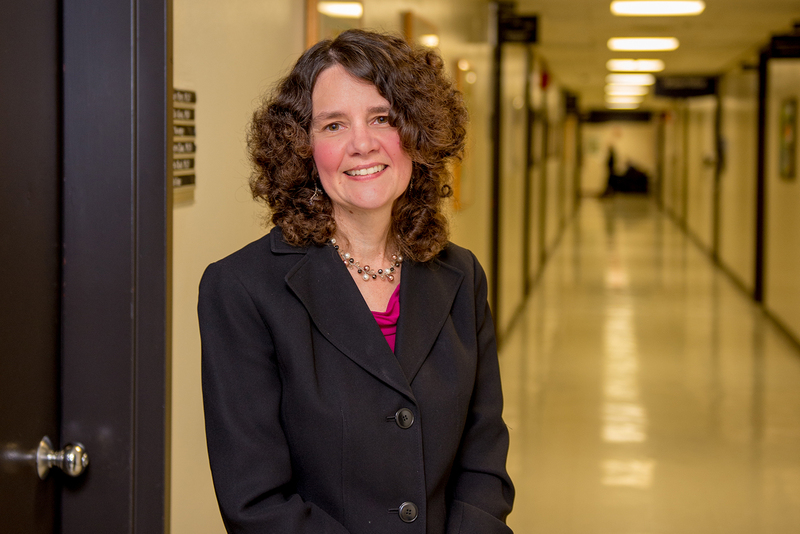 Dr. Petry joined the faculty of the University of Connecticut School Of Medicine in 1996 where she became the youngest full professor with tenure in the history of the School at age 34. During her career at the University of Connecticut, Dr. Petry published over 300 journal articles; authored seminal books in the areas of pathological gambling, internet gaming disorders, and contingency management treatments for addiction; and received over 40 million dollars in external funding. Dr. Petry was the chair of the DSM-5 subcommittee on behavioral addictions and her work in the areas of pathological gambling and internet gaming is internationally recognized (Petry et al., 2015). Her research has undoubtedly led to increases in public and scientific appreciation for the severity of these conditions (Petry et al., 2013), and to intervention approaches that have reduced suffering among people with behavioral addictions (Petry et al., 2008). What stands out most about Dr. Petry’s scientific contributions is the extent to which her research was firmly grounded in basic behavioral laboratory research while also having enormous clinical and public health relevance. As an experimental psychologist who had no formal training in addiction treatment or public health, it is remarkable that she pioneered the development of reinforcement-based intervention approaches that were appropriately potent and capable of competing with the powerful reinforcing effects of alcohol and drugs, yet also had the potential for wide scale dissemination. Contingency management had been established as a highly efficacious treatment for illicit drug use, but was rarely implemented in real-world alcohol treatment settings due to the inconvenience of obtaining frequent breath alcohol samples and the expense associated with vouchers. Dr. Petry developed a “prize based” contingency management system that used an intermittent schedule of reinforcement to deliver prize slips from a fishbowl contingent on demonstrated abstinence. Winning slips were for either small or large magnitude rewards. This approach significantly reduced the cost of implementing contingency management, while retaining much of the efficacy observed with traditional large-magnitude reward contingency management approaches, ultimately leading to its widespread dissemination throughout the US Veterans Affairs Health Care system (Petry et al., 2014). Dr. Petry developed the primary instruments for assessing adherence and competence in delivery of reinforcement interventions, published a book on how to design and implement reinforcement interventions, and trained hundreds of therapists. In sum, Dr. Petry was a truly unique and prodigious behavioral scientist who made significant contributions across a wide range of research domains, including basic psychopharmacology, human behavioral research, research on the classification of psychiatric disorders, research on behavioral treatment development, and research on the widespread dissemination of evidence based treatments throughout the health care system. Her work was highly novel, theoretically and methodologically sophisticated, and relevant to public health. She was responsible for numerous significant contributions across several domains of addiction theory and practice and will be dearly missed by the addiction community even as her work will continue to impact the field, and the lives of those experiencing addiction, for decades to come. Clark, D., Furmidge, L. J., Petry, N. M., Tong, Z. Y., Ericsson, M., & Johnson, D. (1991). Behavioural profile of partial D2 dopamine receptor agonists: 1. Atypical inhibition of d-amphetamine-induced locomotor hyperactivity and stereotypy. Psychopharmacology, 105, 381–392. Petry, N. M. (2000). A comprehensive guide for the application of contingency management procedures in standard clinic settings. Drug and Alcohol Dependence, 58, 9–25. Petry, Nancy M. (2003). Award for Distinguished Scientific Early Career Contributions to Psychology. American Psychologist, 58(11), 878-881. Petry, N. M., & Bickel, W. K. (1998). Polydrug abuse in heroin addicts: A behavioral economic analysis. Addiction, 93, 321–335. 567. Petry, N. M., Blanco, C., Stinchfield, R., & Volberg, R. (2013). An empirical evaluation of proposed changes for gambling diagnosis in the DSM-5. Addiction, 108, 575-581. Petry, N.M., DePhilippis, D., Rash, C.J., Drapkin, M., & McKay, J.R. (2014). Nationwide dissemination of contingency management: The Veterans Administration initiative. American Journal on Addictions, 23(3), 205-210. Petry, N. M., Rehbein, F., Ko, C. H., & O'Brien, C. P. (2015). Internet Gaming Disorder in the DSM-5. Current Psychiatry Reports, 17, 72. Petry, N. M., Weinstock, J., Ledgerwood, D. M., & Morasco, B. (2008). A randomized trial of brief interventions for problem and pathological gamblers. Journal of Consulting and Clinical Psychology,76, 318-328.